Pissarro helped revive a process for making color prints that was originally developed in Paris in the eighteenth century. This classic method consisted of superimposing four separate plates, each inked in a different color (red, blue, yellow, and black). 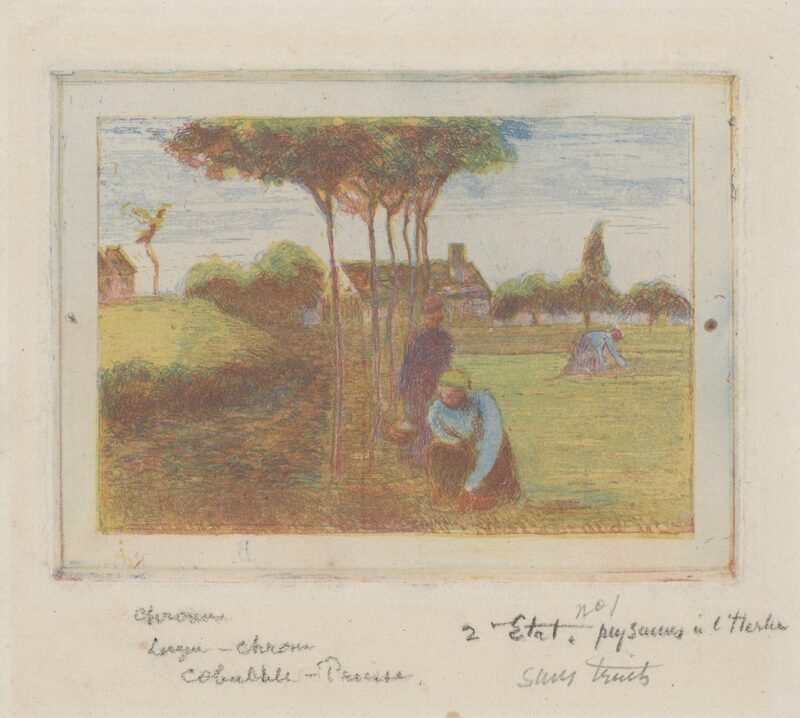 For Farm Women Planting, Pissarro omitted the black plate to obtain the sunny aspect that makes this impression unique.